I just love Halloween. It’s always been one of my very favorite holidays, probably because it is all just so silly and fun. I love dressing up, decorating really wacky, and eating snacks and candy. 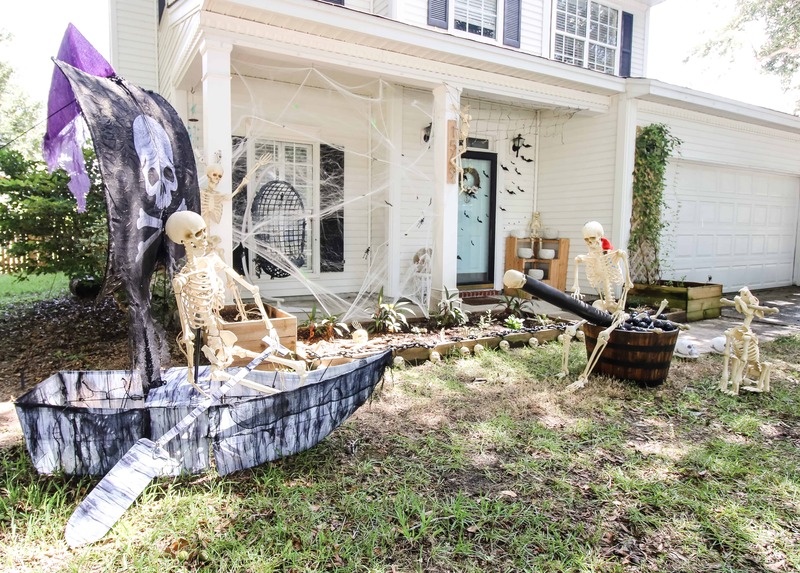 We are so excited to have paired with the Home Depot this year to share a skeleton pirate Halloween yard display! 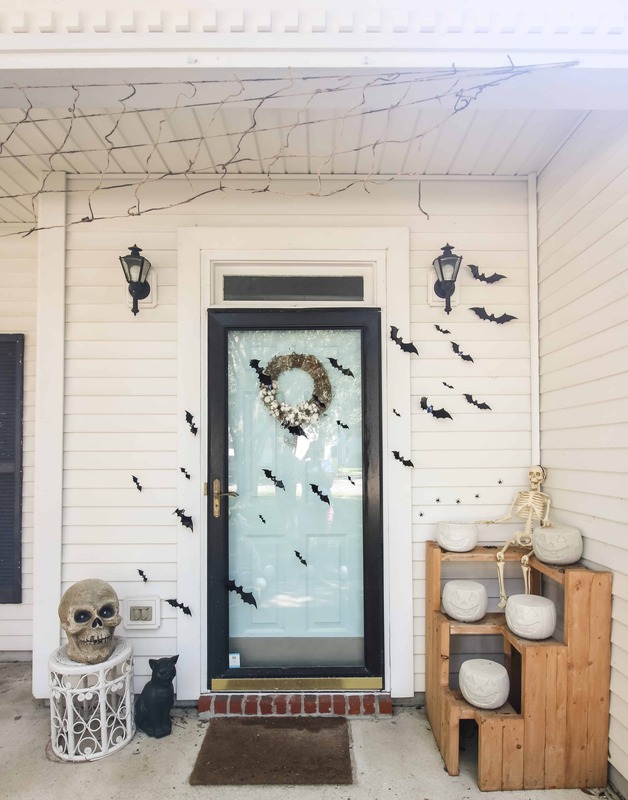 When the Home Depot approached us, they offered us a wide variety of larger Halloween decor pieces to feature and build our scene around. I was immediately obsessed with the Skeleton Pirate Ship. You’d never know it, but I actually played a pirate in Peter Pan in high school, and went to several pirate themed mixers in college. I can get behind a pirate theme! Skeletons are also fun because they make a huge impact. I was also intrigued by the huge selection of skeleton items available in our local Home Depot, including skeleton animals like this wolf and our giant skull! As you can see, we opted to create a skeleton pirate battle in our front yard. I think the kids are going to love all the different elements! 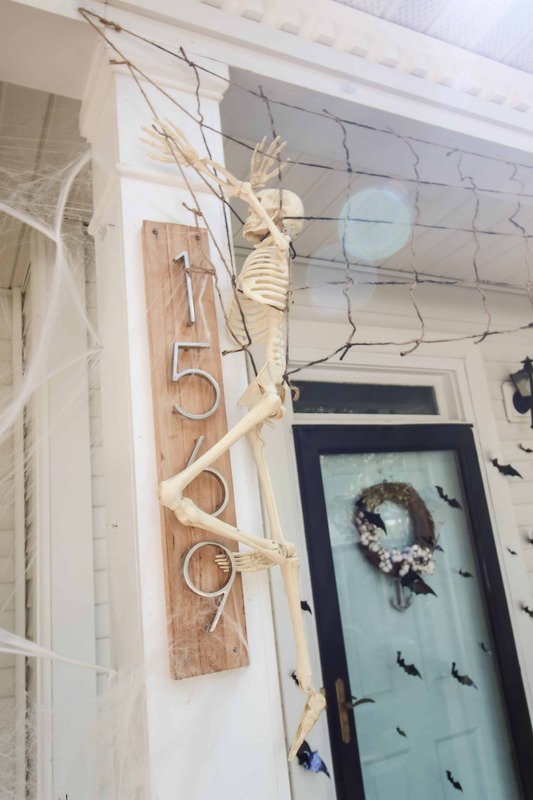 For more details and pictures of our skeleton pirate Halloween yard display, hop on over to the Home Depot blog! Happy Halloween!